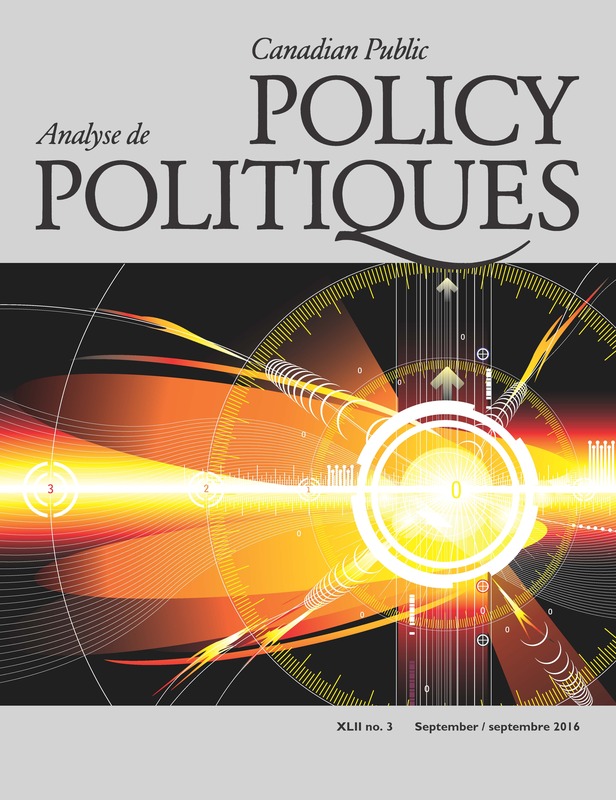 In a new PROOF research article published in Canadian Public Policy, Lynn McIntyre, Daniel Dutton, Cynthia Kwok, and Herb Emery show that guaranteed annual income is effective in decreasing food insecurity among low income seniors in Canada. Learn more in the press release below. Old Age Security and Guaranteed Income Supplement identified as a key driver of substantial decreases in food insecurity among the poorest seniors in Canada. The low prevalence of poverty among Canadian seniors has been attributed to a guaranteed annual income: the Old Age Security program and its supplement for those with low incomes. One measure of extreme poverty is food insecurity. This study authored by Lynn McIntyre, Daniel Dutton, Cynthia Kwok, and Herb Emery, shows that guaranteed annual income is effective in decreasing food insecurity among low income seniors in Canada. Turning 65 and being eligible for this funding is associated with, on average, a 15 percentage point drop in food insecurity compared to baseline. 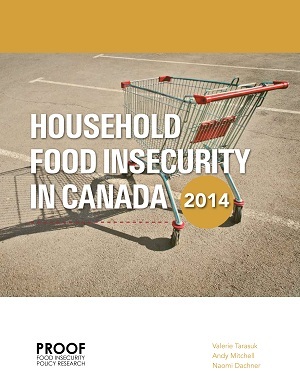 The authors use seven years of national-level data from the Canadian Community Health Survey to examine food insecurity prevalence among those aged 55 to 74. Focusing on low income single-person households (<$20K / year) reflected a statistically significant drop in those who were food insecure after the age of 65, coupled with a shift in source of income from wages or from conditional public assistance (e.g., workers’ compensation or welfare) to public pensions. As a result, the prevalence of food insecurity was cut nearly in half. This effect was most beneficial for those with low income and low wealth, indicated by not owning a home. Low income home owners continued to experience low food insecurity levels throughout the observation period, which is intuitive since they could absorb short term shocks to their household budget by borrowing. In contrast, low income renters seemed to have the greatest benefits from the guaranteed annual income and approaching the level of home owners. Since this analysis was limited to those earning <$20K / year, these decreases in food insecurity are determined not only by the amount of money individuals receive but also the stability of the funding; none of the individuals in this study were significantly enriched by this policy yet the drop in food insecurity was sizable. 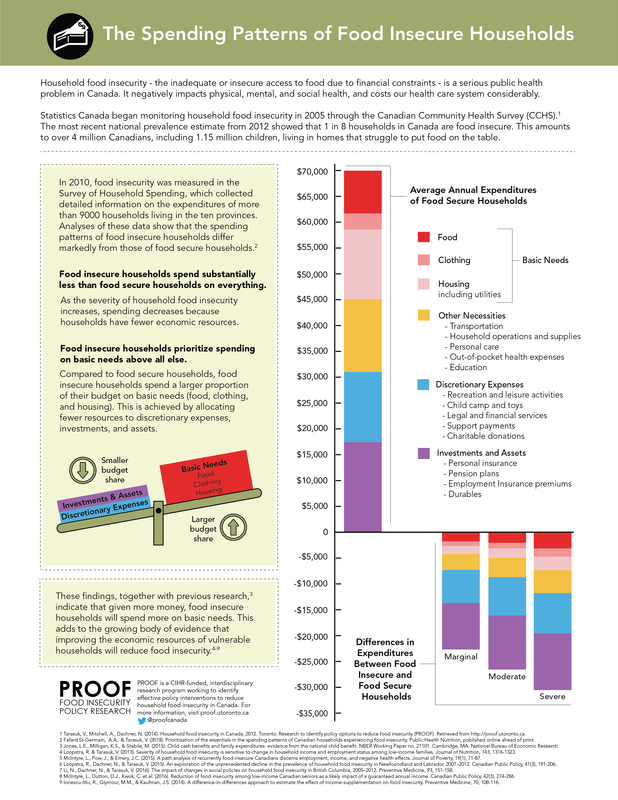 Food insecurity leads to higher health care costs and utilization, over and above regular poverty indicators. 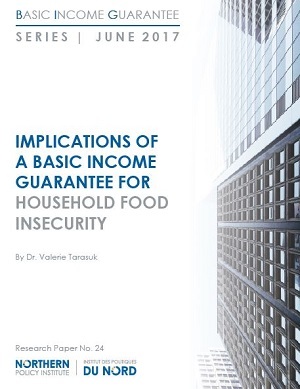 This study demonstrates that even small amounts of guaranteed annual income can have a potentially important impact on poverty and, in turn, costs borne by the rest of society. The current Liberal federal government overturned a policy change instated by the previous government changing the age of eligibility for Old Age Security from 65 to 67. The issue remains as to whether using an age-based demogrant is appropriate, and future work could identify alternative funding models that address poverty before individuals are eligible for Old Age Security. Daniel J. Dutton is a post-doctoral fellow at the University of Lethbridge’s Prentice Institute for Global Population and Economy. His training is in population health and economics and he has a special interest in how policy can change population-level health outcomes. In the past he worked for the Ontario Ministry of Finance before moving to Alberta for his Ph.D.
“Reduction of Food Insecurity among Low-Income Canadian Seniors as a Likely Impact of a Guaranteed Annual Income” by Lynn McIntyre, Daniel J. Dutton, Cynthia Kwok, and J.C. Herbert Emery is available online, open access, for a limited time: http://bit.ly/CPP423d. [PDF version of Press Release] This press release originally released by University of Toronto Press.